We’d love your help. 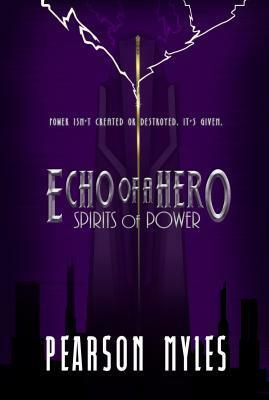 Let us know what’s wrong with this preview of Spirits of Power by Pearson Myles. Two months after surviving an accident that should have killed him, Austin Bennet woke up with his bed on fire. That was only the beginning. As a foreboding scar spreads on his chest, Austin discovers that he has inhuman abilities. Soon hiding from the government's enforcers, Austin finds himself swept away by The Orchid, a reckless insurgent who happens to also be one of Two months after surviving an accident that should have killed him, Austin Bennet woke up with his bed on fire. That was only the beginning. As a foreboding scar spreads on his chest, Austin discovers that he has inhuman abilities. Soon hiding from the government's enforcers, Austin finds himself swept away by The Orchid, a reckless insurgent who happens to also be one of the plenaries, a powerful race of beings with incredible powers and technology that were outlawed by society decades ago. To ask other readers questions about Spirits of Power, please sign up. A fantastic debut by an up and coming new author. Pearson illustrates a world so vividly you feel like you're really there. His characters are the same: multifaceted, unforgettable, and relatable. Cannot wait for the rest of this series. If you haven't started Spirits of Power yet, GET ON IT.